New York is one of the world’s most popular tourist destinations. As with visitors from other countries, those from Taiwan love to experience first-hand the city’s famous attractions—the Statue of Liberty, Times Square, and, of course, the very nerve center of global affairs: the Headquarters of the United Nations. These landmarks—the latter in particular—are symbols of equality, diversity and freedom. Regrettably, the brilliant luster of these ideals has become tarnished of late as more and more visitors from Taiwan find themselves being turned away from the UN grounds, discriminated against simply because of their country of origin. The UN is about people, yet the universality of human rights that the UN proclaims does not extend to Taiwan and its 23 million people. This mistreatment dates back to 1971, when our government lost its representation in the organization—and in the intervening decades, Taiwan has met with challenges and isolation with respect to its international situation. Nevertheless, this adversity has propelled us forward and we have never retreated, for we believe very strongly that those who follow the path of virtue can never truly be alone. While traveling the world to carry out my duties as minister of foreign affairs, I have always marveled at how Taiwan’s experience in such areas as environmental protection, public health and medicine, agriculture, education and ICT has helped our partners develop and grow. We are committed to continuing our interaction and cooperation with our friends and partners, and to maintaining global peace, security and prosperity through mutually beneficial collaboration. Despite Taiwan’s efforts and the recognition they have earned, despite the need for universality, and despite the repeated pledge to leave no one behind, the UN seems content to leave the 23 million people of Taiwan behind. In May of this year, Taiwan was refused attendance at the 70th WHA, despite having participated as an observer over the previous eight consecutive years. Rejecting Taiwan—which has invested over US$6 billion in international medical and humanitarian aid efforts since 1996, benefiting millions of people worldwide—runs counter to common sense, and creates a blind spot in the World Health Organization’s operations, just like the one that cost lives during the 2003 SARS epidemic. This unjust treatment, however, has not and will never deter Taiwan from carrying out its duties both to its people and to the international community. As the world’s 18th largest trading and 11th freest economy, Taiwan has brought its laws and regulations into line with the UN’s human rights conventions, and in terms of living up to democratic values, Taiwan has worked as hard as any country—and perhaps harder than most—to advance equality. The Taiwanese people elected their country’s first female president in 2016, and 38 percent of their lawmakers are women. Taiwan is also home to a vibrant civil society whose civic organizations constantly reach out to the world. And whenever disasters strike, rescue workers from Taiwan’s nongovernmental organizations are right there on the ground, providing assistance, with their devotion and professionalism clear for all to see. Taiwan is currently working on its first Voluntary National Review, which will document many of its concrete achievements regarding the UN Sustainable Development Goals (SDGs). In terms of public health and medicine, for example, in recent years Taiwan has worked alongside a host of other countries to fight such infectious diseases as MERS, Ebola and Zika. Taiwan has also been promoting a green economy and green energy, aiming to raise the proportion of renewable energy generated for the country’s power supply to 20 percent—five times the current level—by 2025, while also aiming to lower carbon emissions to at least 50 percent below 2005 levels by 2050. Holders of ROC passports enjoy visa-free travel or other forms of travel convenience to 165 countries and territories, which speaks to the respect that Taiwan’s tourists, businesspeople and academics have earned worldwide. Yet, they are unable to take even a single step inside the Headquarters of the UN. For years, representatives from Taiwan’s many nongovernmental organizations involved in indigenous, labor, environmental and women’s rights have been barred from attending meetings and conferences held at the UN’s New York headquarters and at the Palais des Nations in Geneva simply because they hail from Taiwan. Similarly, to the outrage of the international press community, Taiwanese journalists are not allowed to cover UN meetings in person. These discriminatory measures put in place by UN bureaucrats—targeted specifically against the people of Taiwan—are inappropriately justified by the invocation and misuse of 1971’s General Assembly Resolution 2758 (XXVI). 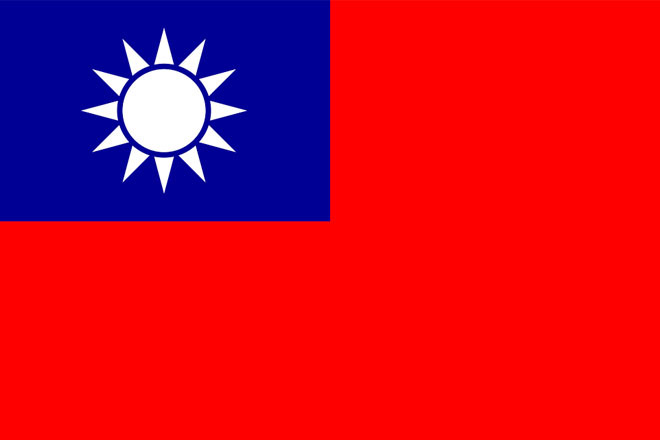 It is important to remember that, while it seated the People’s Republic of China in the UN, this resolution did not address the issue of representation of Taiwan and its people in the organization; much less did it give the PRC the right to represent the people of Taiwan. It is important to stress the political reality here, which is that the PRC does not now, nor has it ever, held jurisdiction over Taiwan. Indeed, as evidenced by the aforementioned ban on Taiwanese inside the UN headquarters, the PRC exerts far more influence on the UN than it does on Taiwan. The preamble of the UN Charter speaks powerfully of the organization’s mission to “reaffirm faith in fundamental human rights, in the dignity and worth of the human person, in the equal rights of men and women and of nations large and small.” The government and people of Taiwan strongly believe that their involvement, especially when the UN is calling for the universal implementation of the SDGs, would be to the benefit of all. The absence of Taiwan, on the other hand, will only continue to cripple the effectiveness of this global effort. Taiwan can do much to help the world build a more sustainable future. The people of Taiwan need the international community to support our aspirations and our right to fair treatment by the UN. At the very least, stop turning us away at the door.